Its been a year of big birthday celebrations. Most of my school mates turned fifty and we've celebrated from Bacolod to Curimao, Ilocos Norte. One that stands out in my memory was a surprise birthday cruise in Manila Bay for my college friend Bia Ruiz-Ang. Her daughters did all the planning, secretly messaging all of their mother's friends for the big event. Thinking it was just a trip to the beauty salon, Bia was screaming her lungs out as she saw a boat filled with her friends from college and high school. It was truly a treat, feasting on Spanish food with a breathtaking view of Manila's skyline. 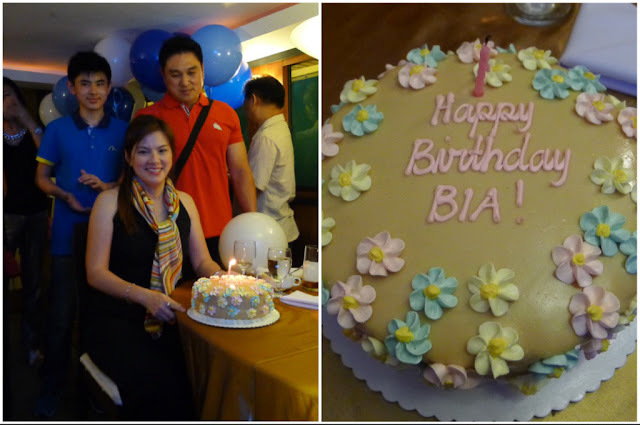 Exceptionally well preserved at fifty, I believe Bia's real beauty secret is her genuine happiness in having raised her children well. Growing old is a joy knowing there's a kinder, honest and God fearing generation after you. Bia and her high school friends. Bia and her college buddies.